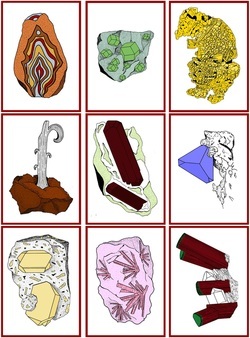 Click the picture and you can download a set of 9 "Minerals from California" trading cards. These 2-sided cards work best when you print them on card stock (instead of copy paper). Print both sides then carefully cut them apart.